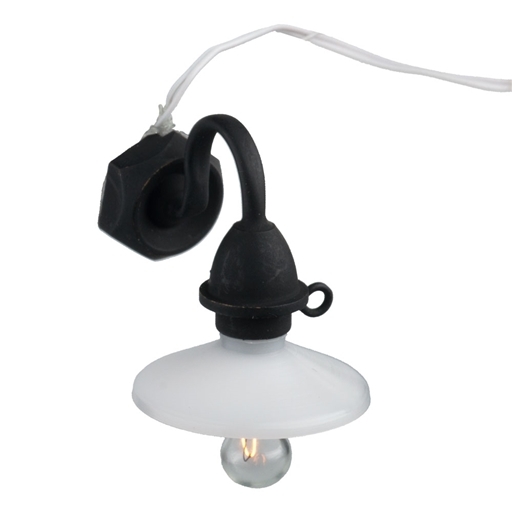 Connect this 12V black metal with a white plastic shade working light to your dollhouse wiring system. 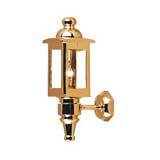 This versatile fixture can be used indoors or outdoors. A plug is included. 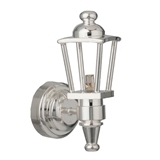 Bulb can be replaced with #44037 Set of 4 12V Bi-Pin Pea Bulbs. Black metal with white plastic shade. 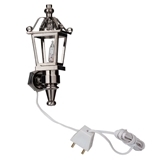 Even though the bi pin bulb takes a little patience to install, these lights are perfect for the conservatory kit!